The new generation BAVARIA CRUISER 41S. The high-performance hull, this racer / cruiser Bavaria 41 Sport is aimed at sailors who want racing performance without compromising on comfort. Whether you want to go on a relaxing holiday cruise with your family, take a short break with friends or just spend a few days alone as a couple - welcome to the CRUISER 41, welcome to a whole lot of fun. The CRUISER 41 is available in a 2- or 3-cabin arrangement. Our CRUISER 41S was designed for sailors with sporty ambitions. 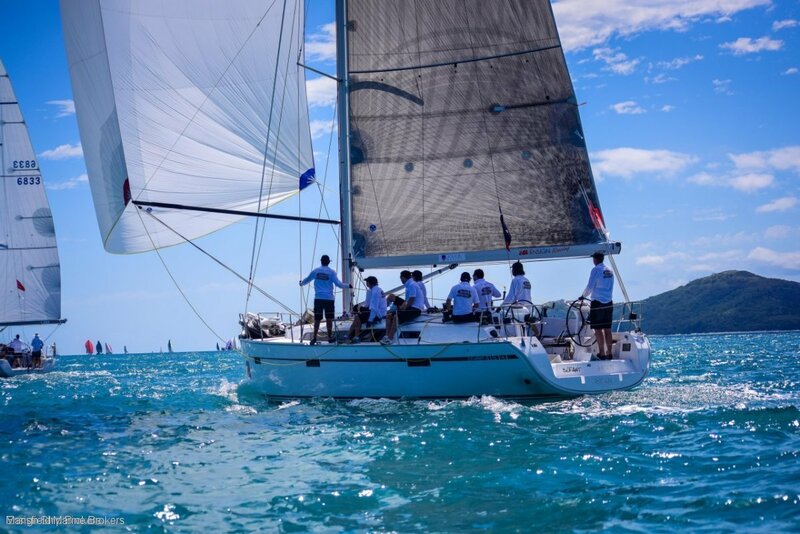 She is for the owner who would like to compete in regattas and championships - and wants to be out there with the front runners. A taller mast and a slightly deeper keel are two of the characteristics that distinguish the 41S from her CRUISER sister, the 41. Lighter weight interior materials, resulting in weight savings over the standard Cruiser 41. Performance enhancements on the 41 Sport (Available as part of the "Sport Package") include larger sail plan with performance mast and boom, deeper keel, regatta fittings, carbon-SPI-boom, composite steering wheels and many more features.